This is a sequel to my prior post, “Around the Bend” and again I’m sharing photos of an experience I never thought I would be brave enough to try. 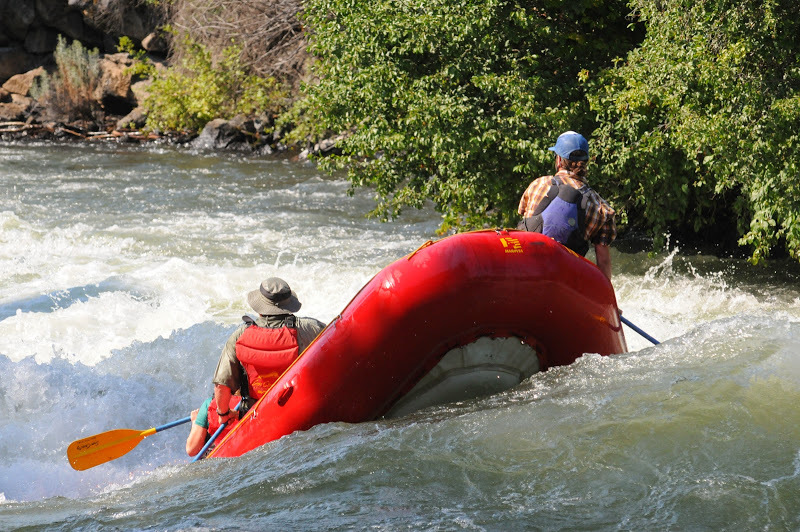 My husband suggested white water rafting for one of our outdoor activities last week since we were going to vacation where rivers flowed. I was apprehensive, but willing to try. In doing research, the trip we chose was a Class 3 and it was geared for children/adults ages 6 and up. Well, if a 6 year old can do this then so can I! Fear hadn’t left me completely, though. On the contrary, it stayed with me up until we “boarded” on our raft. Through this experience I have found that anticipation is the worst. Anticipation can take over our minds and get the best of us. 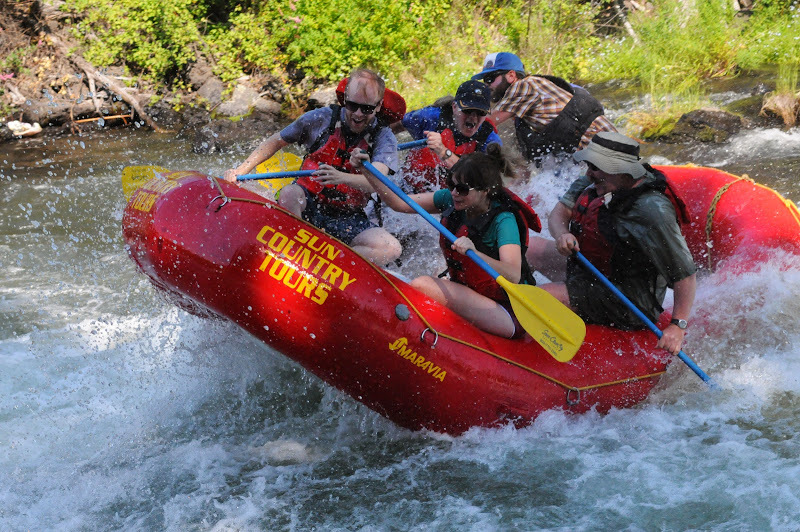 Once I was on the raft, paddle in hand and 110% confident in our guide, I was into it. I felt more in control and the idea became exciting rather than frightening. 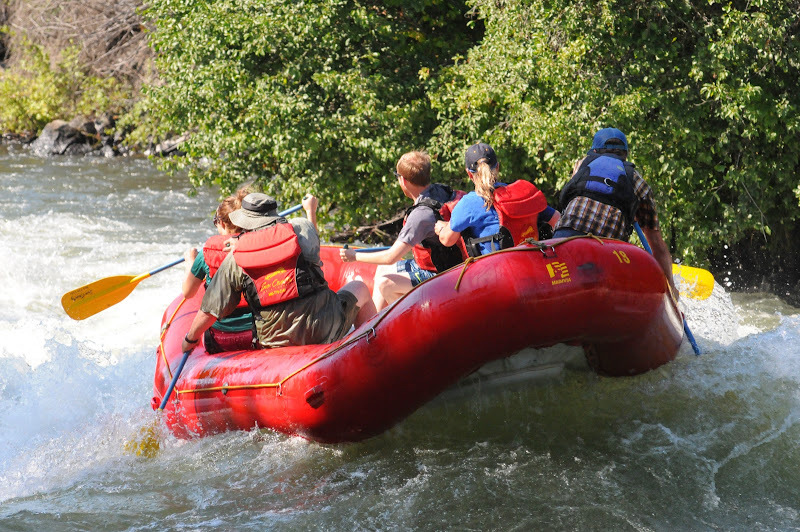 During the big rapids, our guide looked at me and said, “since you’re a rookie, Lauren, you get to ride the broncing bull.” This meant I was to sit on the nose of the raft, hold onto the ropes and ride the rapids. I looked at him and said, “Are you serious?” He said, “Yep!” I wasn’t going to play coward, so I placed my “derriere” on the nose with my legs hanging over, held on tight and said many prayers. 🙂 When we nose-dived, my feet dipped in the water and it felt awesome. Beyond exhilarating! After we made it through the big rapids, we had calm water again and the opportunity to fall into the refreshing river and enjoy, which is just what my husband and I did. Actually, the other couple did the same. How can you not? A big plus was that it was almost 100 degrees outside so getting wet was welcomed. One thing I learned from this is not to let Fear take control because if I had, these wonderful memories might not have existed. Just so you know, nothing was allowed in the raft because everything gets wet and you’re too busy paddling to hold a camera. So these photos were professionally taken by the company photographer. My husband and I are in the back of the raft with our guide behind us. 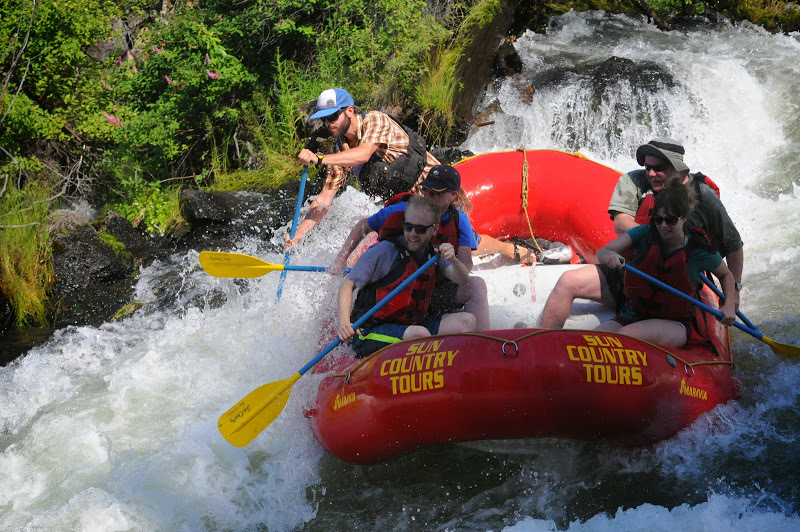 I hope you enjoyed these photos and my story of “checking off one more item from my bucket list.” White water rafting is well worth it if you get the chance. I’ve watched them on the American River in Sacramento. I presume you did this in Oregon? Good for you guys. Glad fear didn’t paralyze you. You’re both very brave. The company took wonderful photos. It’s amazing what we can do if we don’t let fear win. I’m glad we bought the photo package because this is one activity we wanted in print. 🙂 Thanks for your lovely comment, Shian! It looks like it was really exciting. The smiles on the faces are fantastic. Although I can’t click on the last image and look at it full size. I’m glad we did, too, well, especially me since I was the rookie! It was such a refreshing thing to do also in the hot heat and so exciting, Al, words don’t do justice. Maybe we’ll return next year but do you continue to go to familiar, fun places you love or do you venture out into new territory for new excitement? We shall see! Have a great day and thanks for your nice comment, too! 🙂 Have a great day! Time to get ready for work! I am so glad you had the best time Lauren. It looks like so much fun. What other activities did you do? I’m glad you had a chance to experience this. It sounds and looks like it was a lot of fun. A good guide and company make a big difference, otherwise it could be quite dangerous. It’s not something you could do yourself if you didn’t have any previous experience or training. WOW, brilliant! Well done you. Love the pics! Good woman! Enjoy it with all you’ve got. I will! Have you been? Not yet but you’re whetting me appetite! Adore it but just need the extra bit of courage for rapids and the like!